You can see current buffering progress in info bar’s timeline. Also, use “Pause” state to fill the buffer in advance. Me. This new version is great. Love how the guide goes back to the channel now. It’s near perfect now. This is awesome. You are in a league of your own with the ability to move the channels in a group like this. I used the beta and it’s great. I have a mi box 3 and it seems every channel in my iptv subscription only plays with native or auto decoder. If I change decoder to something besides above selection then it will not play the stream. Even though I have it set to auto it says the stream is 720p with HW on channel progress window. My question is, is native decoder the only decoder that works on the mi box 3? And also if native is selected auto then why does it say 720p HW in channel progress window? Will native ever be supported for custom buffer size? By the way, my iotv subscription uses ts and m3u8 streams. I did not know if this info would be vital so included it in a reply. “HW” icon in info bar means that current decoder uses hardware decoding of the device. Native decoder could also use hardware decoding. You should try local video files playback with different decoders selected. If native uses hardware decoder then why doesnt it use the custom buffer? If not then could you add if native decoder selected but uses hardware use custom buffer within settings instead of standard buffer? This could be a feature request for the future app updates. I would love to see it in the near future. Thanks for all the hard work you put into this app. Two thumbs up. That would be welcomed feature. I used your app on my Android TV and mi box and on both, my streams are only working perfect with native decode. But it suffers with buffering problem. Streams are ok, but probably hardware need more time to process. Maybe you know any other way to increase native buffer in whole Android system? I can’t select channels and move them up and down. I selected the “channels management mode”. I don’t think that activated something. You can move selected channel up and down when “Channels management mode” checkbox is checked. There is a technical delay on the Amazon update approvement. Hope this will happen as soon as possible. Bernie, you can use the downloader app and come to this website and download from his link. Works perfectly. You can always use “Settings->Defaults->Backup/Restore settings” to save current app settings. Waiting for the reply from Amazon. How can I downgrade to 1.4.3 as the new version is buffering too much on Full HD and all other channels. Tried to change from auto to native H+ software and also changed buffer size without any good result. Do you have 1.4.3 apk. The picture is stuttering all the time with buffer 1-4, Did clear data for the app and tried but same with this version. It would be great if the buffer is loading and not stuttering the picture everytime its reloading the buffer. Is this a bug or can this be fixed? I really like this play so much. I had the same issue with my mi box 3 android tv box and noticed it uses native decoders only so custom buffer made no difference since native isnt supported within this app. I hooked my laptop to hdtv via hdmi cable and installed memu emulator, installed perfect player and all my streams are perfect now and can even adjust buffer but its not needed since my hardware in my laptop is better then what I had in my mi box 3 android tv box. It all comes down to hardware. I plan on purchasing a windows mini pc box soon so that I dont have to use my laptop anymore or junky android box (I have tried many different android boxes and all have this issue with streaming). If streaming server does not provide enough bandwidth performance, you can press “Pause” button to fill buffer in advance. But 1.4.3 is working without any issues. I use H96 pro plus. And the streaming server is high speed server. Got it to work good now with the new version. Did clear the data cache for the app and reopened it and didn’t restore the backup. I have noticed on my computer playing stream through memu emulator that buffer 1 is the largest showing buffer about 2 inches long where buffer 4 is the smallest buffer with only a quarter of an inch long so instructions in forum is backwards or the app has it backwards. No big issue but thought I would share my findings. Larger buffer requires more time to be fully filled, that’s why smallest buffer is filled faster. You can press “Pause” to see how it fills up. I assigned all the logos for the channels when it was beta. I made the ppbck file from that and and now it will not populate past the letter ‘n’. I did it twice. I am using a firetv box. It was a lot of work. Is there someway to fix this or some way to get the beta version back? What do you mean of “it will not populate past the letter ‘n’”? It is alphabetical and no logos will show after the letter ‘N’. From The letter ‘O’ -‘Z’ it will not show any logos. It worked fine in the beta and then when I backed it up and did the new version it would not do the rest of the logos. All the epg worked but not the logos. When you move the channels within the group, with the new feature, you have to hit save when you try to exit out. Does that stop you from assigning logos anytime after that? Does everything have to be done before you move the channels within the group? That is the only ‘management’ that says save afterwards. You only have to confirm saving your channels movements in “Channels management mode”. All other manipulations in other modes are saved automatically. You should wait when the update will be available in Amazon AppStore. What to do so that channels can zap faster? It works fine with hardware but on some channels it cant play the channel with hardware. How to zap faster? Excuse me but can you tell us the megs used for each custom buffer 1-4? Would be nice to know in order to match system available memory. This should not be a problem – max amount of memory used is less then 120-180mb RAM. I’m wondering if there is a way to retrieve program information when in the EPG? I know it can be found with the right button when viewing a channel but can’t seem to find a way within the EPG. Awesome app BTW, defiantly my favorite IPTV player. You can use “i”/”info” keypress if available to show detailed EPG info or select “Details” view mode in channels list context menu. Hi. Do you plan to make ppbck files load on file click? That would save some time. And i think it would be usefull in many aspects. It’s in our feature requests list. Can i configure max resolution or quality for dynamic(auto quality) hls streams? No such option. You can try to select different decoder. How it’s possible to reload EPG ? Two different supplier’s icons blending into each supplier. It’s a first for me! Excuse me but do you think we can get a help file included in build for android version? Would make a nice feature request. The app refreshes future EPG programs on each manual or auto update. However, it is limited due to unreasonable performance/memory usage. The app updates playlist on startup and on each manual or auto update. Make sure you are using link to playlist (URL), rather then downloaded playlist file. How do a change the time and date to search the archive? When I press on it just plays the last item in the archive list. Use “Archive” item in channels list context menu. At the bottom in channel archive window you can select date and time of archived program. You should try to select different decoder. I copy my iptv link from usb stick and paste but it does not start download the channels. This worked with no problems on the older version. How to do? Make sure that you’ve entered playlist URL correctly and your playlist is alive. Only one epg name (Balkanika) appier in EPG assigning mode. I upgraded from 1.4.2 to 1.4.4 on my shield tv, i have noticed that for whatever reason 1.4.4 has problems now with regards to buffering and the only difference i have seen is a buffer option that you can set between 1-4. I have tried all options and it makes no difference. Another issue i have noticed when trying to view VOD content via PP it keeps its crashing the app. I have now moved back to using 1.4.2 instead and now everything works great. No buffering problems and no crashing. Как настроить просмотр архива в edem.tv? Using v1.4.4 with Vaders Streams setup. Was working just fine. I used the channel management to sort the channels by name and the group management to hide unused groups. After a couple of days of updates I noticed that some channels are duplicated, like 5 copies of TVLand or 2 copies of A&E, three copies of Bloomberg HD in the United States group. Many of the channels have duplicates. Tried refreshing the EPG. No luck. Tried reinstalling, still there. Checked it against the Vaders.APK, no duplicates in Vaders. This was on an Nvidia Shield, so I tried it on a Firestick. Same problem. For the United States Group, Perfect Player shows 145 channels. Kodi and Vaders.APK show 98 channels. Settings changed were Groups as Files, use Channel Management to sort by Name. I didn’t hide groups on the Firestick so that doesn’t seem to matter. Have not you setup multiple playlists in Settings? No. Just one Playlist and one EPG. You can see your playlist file in text editor if there are any channels duplications. Kind time of the day! I want to thank you for the excellent program. Also I want to offer you small comments on the improvement of the program for viewing IPTV and in the car. The fact is that I use the prefix on the Android with your program to view in the car and receive a signal through the mobile Internet 3G and 4G. Since the car constantly moves at different speeds and the signal of the cellular network is not always stable, buffer helps very well. 1. Make it so that if the signal from the server disappeared, the program with a 1-2-second periodicity without any restrictions on the number of times checked the presence of the signal (tried to connect to the server). This is very useful if the car got into an area where there is no cellular signal and with time when the signal appears, playback will automatically start. Currently, you have a limit on the number of attempts to find the signal and if the signal is not available for a long time, the search stops. 2. 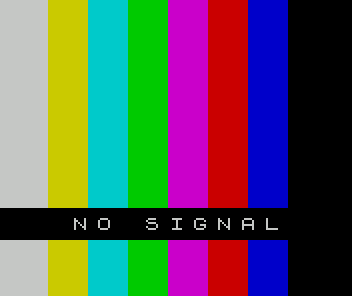 In the absence of a signal, instead of an empty screen, you can show a table about the absence of a tv signal with the message “NO SIGNAL”. So it will be much more familiar and understandable. can i change the time displaying of the infos? If you do mean info bar timeout. The answer is currently no.